Let’s talk about why seminary. You might say “Well, to be a pastor of course.” Though this is often the case, I want us to think beyond seminary as a means to an end of a job. This type of mindset can easily blur the purpose of seminary as nothing more than a requirement or even worse simply a hoop to jump through to enter into God’s calling. Then, why seminary? Let me say it likes this: If it’s a job you want, don’t come to seminary. If it is to be opened, renewed, and transformed by Jesus through the power of the Spirit and sent to participate in God’s mission, come to seminary. This may seem like it opens the doors to seminary wide to folks with a variety of vocational calls. That is exactly what it does. The training in and handling of God’s word, to be equipped to care for the people of God and world God has created, and to be opened and attuned to the power of the Holy Spirit is for all who seek to be participants in Kingdom building. As we see our church and world polluted by vicious polarization and ideological entrenchment, I want us to reflect on how seminary education can be one path God is calling us down to bring a rooted Gospel presence to ourselves and the place(s) in which we inhabit. In our work here at The Master’s Institute, this presence is what we seek to cultivate in our commitment to form whole and healthy leaders to continue Jesus’ ministry through the power of the Holy Spirit. To map out the places in which God has called our alumni and students is to see the width and depth of the seminary experience as it was intended to be – not what we have created it to be in our cultural definitions of what ministry should look like. When we start to not just see but also invite seminary to be more than a requirement for a predefined role, we start to get a glimpse of the collaboration and vision God has for the people of God to come together and join in God’s mission through the power of the Holy Spirit. Seminary has an opportunity to be vehicle that God uses to propel us into where God is leading us, not just a protector and duplicator of what is and has been. So, will you join us in being part of the rethinking and re-imagining of what the role of seminary in the life of the church and of our world? As we press into this thought and imagining, I want us to sit with two outcomes of recognizing the role seminary plays. The first is the equipping and empowering of future seminary students. This opportunity to think anew about the nature and purpose of seminary is a time to free the bounds on those who don’t fit the way our cultural has defined what a call to ministry looks like. Seminary is for those who are called to be parish pastors, for those who are called to start a bakery as a communal Kingdom building block, for those who want to teach, and for those who simply want a larger vision for what God is up to within their work – to name a few. I want to encourage us to pray on who the Lord might be putting on your mind to encourage down this path. Who do you know that is hungry for being equipped and formed for where Jesus is leading them? Secondly, it is no secret that one of the biggest barriers to seminary education, beyond the limited perspective we have put on it, is the financial obligation. My hope is, in taking space to rethink what seminary has to offer, we recognize the need to make it financially affordable. The question of why seminary is not just about why one would attend seminary, but also why one should support seminary. The concern is constant about the current and future state of the church, yet the commitment to supporting theological education has never faced greater challenge. 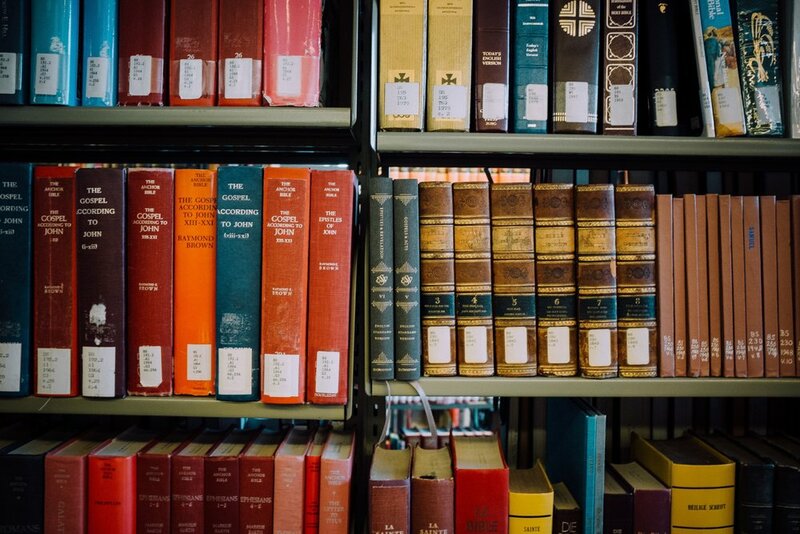 Seminary is a place to be educated and formed to tend to the realities of our world and to be equipped to do so in and through the hope of Jesus Christ. In a world that is selling fear to us left and right, let us invest in sewing Kingdom seeds through the development of leaders that, through the power of the Holy Spirit, will cultivate a culture that seeks with the Apostle Paul to not be conformed to this world but be transformed by the renewing of our minds. We would love to share more with you about how you can support The Master’s Institute and our students as they answer God’s call on their life. It is our prayer and belief that the seminary experience can be a place in which God brings forth revival of our Church and world as we hold fast to Jesus and his call on our lives.